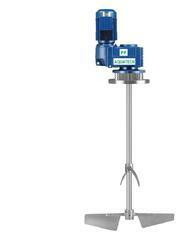 Offered by us is Mixer Settler that is well tested on different parameters by the quality controllers of the company. Manufactured with great care by the efficient team workers, the Mixer Settler provided by us is supplied to far flung areas where it is high on demand. Backed by a state-of-the-art infrastructure facility, we are involved in presenting a magnificent collection of FRP Mixer Settlers. The proposed assemblage is manufactured in compliance with the preset industry standards. FRP mixer settlers are examined for their flawlessness, before being delivered to the clients, worldwide. 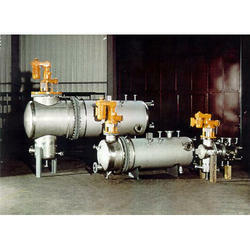 Our clients can avail from us an impeccable range of Mixer Settler. Moreover, we offer these products in variegated specifications as per clients' requirements. - Offers good flexibility in adding or reading number of stages. We are a recognized entity, affianced in manufacturing the best-in-class range of Multi Staging Mixer Settlers for our clients. - Different stages can be connected to each other and the interconnecting pipelines can be done as per your required flow logic. These are a Class of mineral process equipment used in Extraction Processes. Industrial Mixer- Settlers are commonly used in the Copper, Nickel, , and cobalt Hydro – Metallurgy Industries where Solvent Extraction Processes or Liquid – Liquid Extraction Processes are applied.